Struggling to get comments on your Facebook posts? Do you want to get more engagement while creating a meaningful dialogue on Facebook? Getting comments on your Facebook posts should be an important piece of your posting strategy. Why? Facebook uses engagement with your Facebook business page posts as a quality signal. This means that the more users engage with your posts (including commenting), the more people will see your businesses updates in future posts as well. 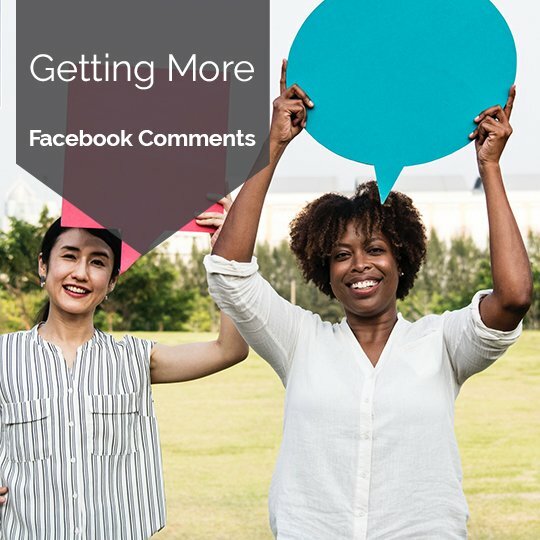 In short, more comments on your posts = more organic reach. Have you ever been asked a question that didn't stop you in your tracks, even momentarily, to cause you to try to think up an answer for? This phenomenon is a natural human reflex called instinctive elaboration which you can use to stop people from scrolling past your posts on their Facebook newsfeeds. Consider using this tactic in different facets of your marketing efforts from your social media posts, to blog posts and presentations. 1. Try to ask questions that are timely and center around a trending topic or fad. 2. Keep your questions open to encourage open-ended discussion. 3. Make your questions easy for users to answer without having to over-think their response. 1. Over-complicated questions that require critical thinking and/or research to answer. 2. Politically-oriented questions which can be polarizing. 3. Questions that contains just one right answer. Sometimes, all you need to do to get someone to do something is to ask them. When asking for users to leave their thoughts or opinions on your posts, make sure to make it fun and easy for them to do so. Do not, however, spefically ask for likes and comments. Facebook has threatened to penalize updates that explicitly ask for likes, comments, or are otherwise deemed "engagement bait", so you want to make sure to avoid these types of posts at all costs. 1. Encourage users to caption an image. 2. Invite users to fill in the blank in an incomplete sentence. 3. Ask for followers to help you choose something with a multiple choice question. Need a little extra boost? Don't be shy about commenting on your Facebook page posts from your personal account. After all, people are more likely to join in a conversation when there are others already participating.